Scott provides executive oversight to support Acella’s Field Operations. His extensive experience enables him to identify challenges and develop creative and practical solutions that empower the entire team to deliver a successful project. Scott’s dedication, and the pride he takes in his work has ensured positive, successful and quality construction experiences for some of Acella’s largest projects and clients. Scott listens to clients’ specific goals and concerns and is able to translate that to subcontractors and vendors, ensuring the highest quality and satisfaction. 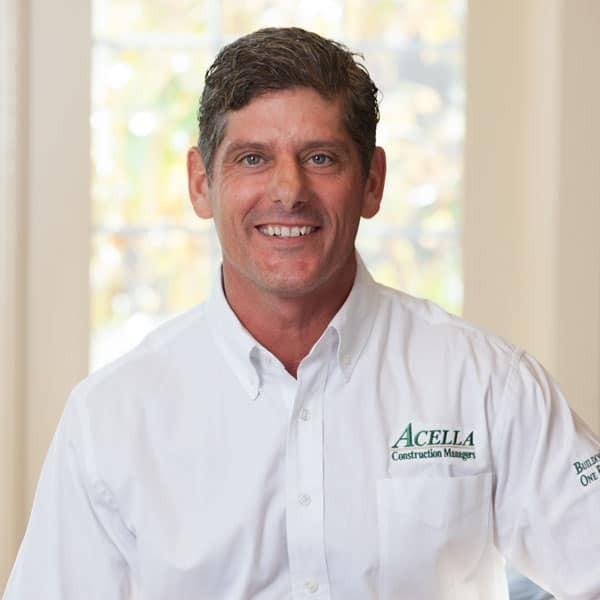 Since 2010, Scott has been an integral part of Acella project team, adding value during the preconstruction phase, and demonstrating a keen understanding of project strategy, logistics, phasing and milestones. Having extensive experience with out-of-the-ground, renovation work in occupied and unoccupied environments, urban and suburban work locations, and a complete understanding of high level finishes. Scott is currently managing $5m ground-up construction for the Jackson – Walnut Park Schools Student Center. Scott attended the University of Massachusetts, Boston.